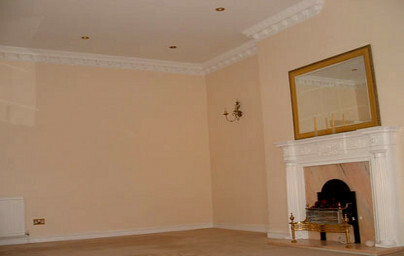 Spek Decorating provide outstanding quality painting and decorating service to all Kew Gardens based Clients. With over 10 years of experience in all aspects of decoration we are fortunate to boast a varied client base of residential contracts. We undertake all aspects of painting and decorating jobs for both interior and exterior work. Our painters and decorators are experts in panting and decorating. We never leave any mess after the job is done. We are focused on the best finish and always use the well known brands of products. Our experience of working closely with designers and suppliers will ensure that your project will be well finished. Qualified tradesmen who can carry out any decorating requirements. Good preparation ensuring a good service and clean finish. Small job, but the window frames were in a poor state with rot in certain areas, and the doors were varnished. Martin gave us a competitive quote, worked to our timetable and completed the job to a high standard, with little mess or disruption. He was extremely pleasant to deal with, friendly and courteous. The paintwork was still in good condition two years later when we sold the property. We have and will continue to use him again. –Mr B.C. Maida Vale, London. Having used Martin before, but for a much smaller job, we were comfortable contracting him to redecorate our entire house. The work took 3 months to complete and in certain areas required extensive preparation before painting could be undertaken. Martin organised a team of decorators, as well as working on the job himself. All the staff were courteous and professional. We lived in the property while some of the work was completed. They were comfortable working around us and tolerant of our young children! Highly trustworthy too. We were very pleased with the results, a number of other tradesmen have commented on the quality of the work. Again they were very clean. We shall certainly use them again. –Mr B.C. Maida Vale, London. The service was excellent, prompt, efficient and always cleaned at the end of the day. –Carol Mayes, Kensington, London. Martin Spek is reliable, honest and he's provided us with an excellent level of decorating service. –Montarant Ltd, London. Personable character. Perfectionist in results. Extremely neat and tidy. More than happy with results. –Mr John G Kaye, Fulham, London. Martin was efficient and polite, his work including wall preparation and lining paper was excellent. He is honest and trustworthy and I would highly recommend him. –Ninusaka Olar-Stragey, Richmond. The service provided was exceptional. The work was of the highest quality and Martin is both reliable and extremely trustworthy. – T.W. Kew Gardens, London. Martin Spek did a totally professional job to my complete satisfaction. Would recommend him to everybody. – Carol Mayes, London. Excellent service. Exceptionally high quality work, punctual and considerate of keeping area tidy, would highly recommend. – K.J. Kensington, London. Martin was accurate, reliable, punctual, trustworthy and did an amazing job. His price could not be matched by anyone. – Hannes Hoffmeister, Chiswick, London. An excellent decorating service, we use Martin on a regular basis and have don so for a number of years, reasonable, punctual and honest. – D.R. Chiswick, London. Excellent service, good standard work. Reliable and friendly. – Rezwana Uddin, Uxbridge. Mr Martin Spek does his job to very high standards. He offers good quality workmanship for reasonable price, you can rely on his knowledge about materials and techniques he uses, also his assessment of time needed for work. – R.I. London. Our Kew Gardens decorating team will ensure that your wishes are carried out to high standards. From your acceptance of estimate through to completion, our team will be on hand to ensure that you the customer are kept informed at every stage of the decorating. As a Kew Gardens painter decorator service we understand the need to maintain standards and provide you with a painting decorating service that can help to raise the value of your property – we will prepare quotes on any job and we are sure that we can offer the best value for money. We believe in giving best possible value to our customers. Not only you get best materials from well known brands and workmanship, you will find that our prices are very competitive as well. Whether you’re looking to make a major renovation to your home or you have got a list of small repairs, Spek Decorating Kew Gardens, will be pleased to help. Our professional painting decorating team is committed to handle every job, whether small or large, with complete dedication and an eye to details. Our success is based on combining professional, fully qualified painters and decorators, quality control and flexible hours of work. Please take a look at some of the painting decorating projects we have worked to get an insight into the range of our operations. According to our clients we are one of the best painting and decorating companies in London.